Missouri Head Football Coach Barry Odom hired his younger brother, Brian Odom, to serve as outside linebackers coach. Ryan Walters, Mizzou’s co-defensive coordinator and safeties coach, will now coach all defensive backs moving forward. Defensive coordinator DeMontie Cross will work with inside linebackers. Brian Odom will be on his second stint with Mizzou, where he began his career in athletics as an administrative and defensive graduate assistant coach on Gary Pinkel’s staff in 2005. He comes to Mizzou from Washington State, where he was the defensive quality control assistant for the 2015 and 2016 seasons. At WSU, Brian was instrumental in the Cougars’ defensive turnaround, working under Defensive Coordinator and former Mizzou assistant coach Alex Grinch. 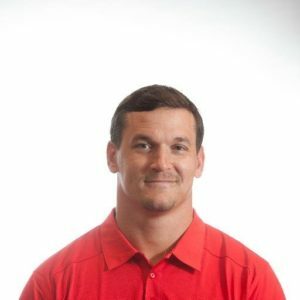 Prior to Washington State, Brian spent three years running the football strength and conditioning program at the University of Houston (2012-14), after spending seven years working with the football performance program at the University of Arizona (2005-11). Additionally, for five seasons (2006-10), he assisted UA’s football operations director by coordinating advance travel arrangements for all away games. “I am extremely grateful this opportunity, and I’d like to thank Coach Odom and his staff and Director of Athletics Jim Sterk for giving me the opportunity to come back to Mizzou,” said Brian Odom. “I’m excited to get my family back to the great town of Columbia and be part of a school that I’ve followed closely for over 20 years now. I’m really excited about the future of the program and it’s an honor to coach in such a prestigious league as the SEC and represent the state of Missouri. I’m looking forward to doing great things with this outstanding staff,” he said. “I’m excited to have Brian join our staff, he will be a great fit for us in a variety of roles,” said Head Coach Barry Odom. “He has an understanding of the defensive structure we’re going to run, he’s been around it extensively his last couple of years at Washington State, and he and I have spent a lot of time together personally prior to that studying and sharing defensive philosophies. He’s got a great mind for football, and he has a strong background in leading, mentoring and motivating players to improve themselves and attain goals. I know what I’m getting with Brian, and I know the opportunity to be back at Mizzou means a lot to him,” he said.